If you live in Endeavour Hills, all those beautiful leafy areas, parklands and variety of trees mean regular gutter cleaning should be a vital part of your home maintenance routine. However, if you’re like most people, gutter cleaning is probably something you put off for as long as possible. The solution? 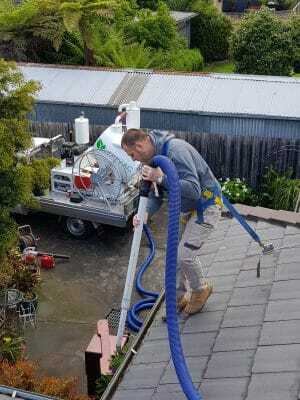 Hire a professional gutter cleaner in Endeavour Hills to do the job for you. It’s the quickest and easiest way to safeguard against potential damage to the structure of your home caused by leaking roofs and water damage. LeafVac is a family owned company that goes above and beyond to ensure our customers receive the most thorough gutter cleaning service possible. We know just how important it is to have clean, unobstructed gutters and our fully qualified staff use state-of-the-art vacuum excavators to do the job quietly, quickly and effectively. Once we’re done, you can enjoy the peace of mind in knowing your gutters are free of blockages and that the structure of your home is protected from leaks. We’ll even give you a before and after photo! Gutter cleaning and regular maintenance is no easy task, so contact LeafVac on 0455 488 837 and take advantage of our professional gutter cleaning services in Endeavour Hills. Our staff are fully trained and respectful of your time, privacy and property, ensuring you receive a high-quality gutter cleaning that provides lasting results.